This is the only color photo taken from the set of SIGN OF THE CROSS, which was filmed in black & white. It was used for an advertising campaign for Coca-Cola. I wonder if COKE knew about how racy this film was? 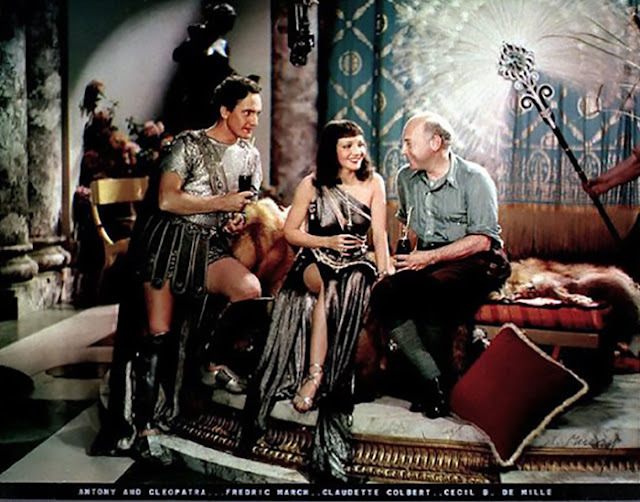 That's Fredric March, Claudette Colbert and Cecil B DeMille. Anyway, nice colours.